What Hi-Fi? Awards 2018: Sony and Panasonic boast the best Blu-ray players | What Hi-Fi? Netflix binges might be all the rage, but in our opinion Blu-rays most definitely still have their place. 4K Blu-ray is the pinnacle of the format with UHD picture quality married to similarly impressive surround sound. Of course, you need a 4K Blu-ray player capable of doing the format justice, something this year’s Award-winners manage with aplomb. At the affordable end of the market, your money should go on the Sony UBP-X700 . It's the first player that's truly wowed us around the £200 mark, delivering a stunningly natural and realistic picture for an affordable price. Audio quality doesn't disappoint either, with the Sony delivering a clear and engaging sound. On the features front, there's support for HDR10 and Dolby Vision, while the Sony can handle 3D Blu-rays and SACD discs. 4K streaming from Netflix and Amazon Prime Video is also on the menu as is hi-res audio support. Those with a more demanding home cinema set-up can can set their sights a little higher. The Panasonic DP-UB9000 is a premium 4K player that delivers on all fronts. It’s upscaling of SD and HD content is superb, while 4K discs give the Panasonic all the ammunition it needs to deliver the most detailed and realistic pictures we’ve seen so far in 2018. 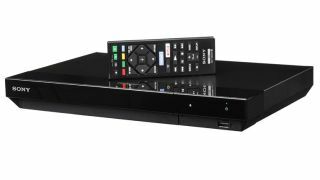 Add confident and assured sound quality and an impressive feature set to the mix and you’ve got a sensational 4K player that fully justifies its price tag.